I just started Empress of Fashion, a biography of Diana Vreeland that my roommate Christina gave me for Christmas. It’s one of three fashion memoirs/biographies I’m dying to read this year. So far, I am totally and completely hooked. I’ve only gotten to her marriage to Reed Vreeland so far, but Diana’s childhood is quite fascinating. I’m even finding myself scribbling notes in the margins in pencil–something I haven’t done in quite a long time (perhaps since school, and definitely since I started reading e-books). What I find most interesting in the stories from her early life: the total construction of her history and childhood. She said she grew up in Paris, she actually moved at a young age. She said she knew no English when she went to boarding school; in reality she knew very little French. And so on. I’m finding the parallels between the creation of a physical facade through fashion, makeup, and style, and the construction of false memory extremely intriguing. 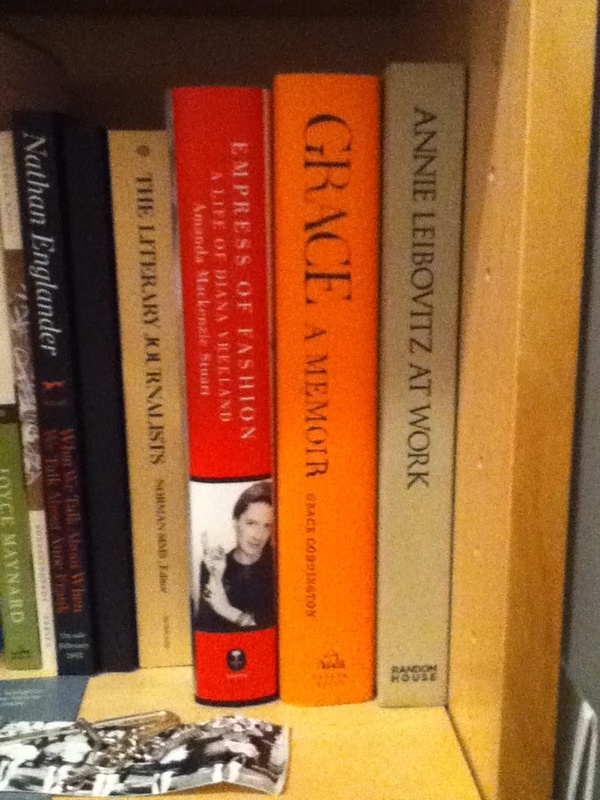 And when I finish, I’ve got books on two more fashion/media greats: Grace Coddington and Annie Liebovitz.